Lemon and lime are familiar citrus fruits and used quite often in food preparations. Lime and lemon are not exactly the same. Lime is smaller and has a thin smooth skin, sweeter smell and contains less juice when compared to lemon. The important ingredients in both lemon and lime are free citrus acid, natural sugars, vitamin C, calcium and phosphorus. These two citrus fruits are heavily researched and were proven as a medicine vast range of illnesses. Lime and Lemon are often used in remedies and were proven to work miracles. It is very effective against most type of germs, fungus, internal parasites and warms. It also regulates blood pressure and acts us an anti depressant. Lemon is claimed to be the new miracle cure for treating malignant tumors (cancer). Its effect on cancer cells is said to be 10,000 times stronger than chemotherapy. This knowledge is not readily available to every one, since large medicine corporations prefer to produce the synthetic drugs and make a fortune on the way. Lemons contain phosphorus that help fignt bad breath. Mix lemon juice in warm water and a teaspoon of honey. Drink two to three times per day. It will help cure halitosis (bad breath)! 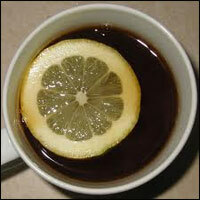 Mix lemon juice in a weak black tea and drink. It converts an acid condition (a condition that leads to headaches and migraines) to an alkaline one. Drinking Lemon juice every day first thing in the morning (on an empty stomach) eliminates water retention, helps with weight reduction, and keeps the system alkaline. Lime juice has a sedative effect on the nerves. Drink a cup early every morning on empty stomach half an hour before breakfast. This doesn't have an overnight effect but it will help reduce weight in two or three months. An ancient remedy is to mix juice from one lemon in a cup of hot water with honey. Drink the entire amount at once and then repeat every few hours until you are feeling better. Mix 3 tsp. of dried leaves in one cup of boiling water nd allow to simmer for 10 minuntes. This should reduce fever and relieve cramps. Drink up to 2 cups per day. Lemon juice sweetened with honey can help coughs and asthma. To help with relaxation and deep sleep, drink 1 cup of Lemon tea an hour before going to bed. Lemon juice works as an astringent, relieving pain. Apply diluted lemon juice gently to sunburned skin using cotton balls. Mix fresh juice from half a lemon with warm water and sweeten with honey. Drink it Drink a cup early every morning before half an hour before breakfast. This should reduce abdominal discomfort and also purify your blood. Lime juice can also be used when suffering from chronic constipation. Mix a teaspoon of fresh lime juice with same quantity of honey. Lick it slowly to help stop vomiting and burning sensation in the chest. The is a well known folk remedy for curing diarrhea. Squeeze half a lemon in half a cup of goats milk, mix and drink it. Rub lemon peel over the affected area promptly. Mix one teaspoon of lemon juice to one teaspoon of onion juice. Take twice a day and it will provide a relief. Lime is ideal for treating all types of fevers and colds. The lime juice is full with vitamin C that will increase resistance, reduce toxicity and will cut down the duration the illness. Mix lime juice in a glass of warm water and sweeten with a teaspoon of honey. If you are one of those that tend to burp after a meal, make it a habit to take twice a day one teaspoon of lemon juice. Caution: The alkaline salts in the lime juice neutralize the free uric acid and precipitate it. This may affect your kidneys. Lime should not be taken in excess!